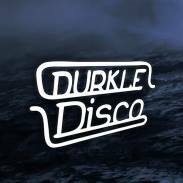 After 6 months spent hiding from the health & safety authorities following some questionable hygiene on display in the ‘Kitchen Sink’ video, Unkey returns for his second outing on Durkle Disco… following the “dizzying variety” of his debut EP, today’s release sees a bit more of a recurring theme – ‘Killer Klowns’ is a minimalist but brutal slice of futuristic grime, while ‘Bentley Rhythm Dub’ marries similar sensibilities with a thunderous steppas style bassline that could wake the dead. Be afraid! !